Actor John Heard, best known for playing the father in the hit 90s-era "Home Alone" films, has died, according to US media. He was 72. Entertainment website TMZ said the actor was found dead in a Palo Alto, California hotel where he was recuperating following back surgery. Heard's representatives did not immediately respond to requests for comment. 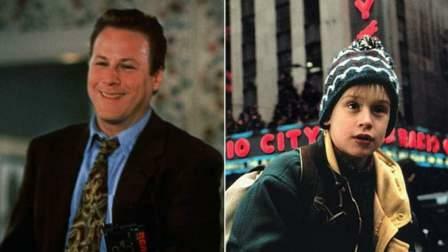 The veteran actor rose to fame after playing Peter McCallister - the father of mischievous Kevin, played by Macaulay Culkin - in the family comedy "Home Alone" and its sequel "Home Alone 2: Lost in New York." Born in Washington DC on March 7, 1945, Heard worked in theater prior to transitioning to the silver screen. Though most people knew him as the "Home Alone Dad," Heard also acted in films including "Between the Lines," " Heart Beat," "Cutter's Way" and "Big." In 1999 he scored an Emmy nomination for playing a corrupt detective on the acclaimed mafia drama series "The Sopranos." His other television appearances included "CSI: Crime Scene Investigation," "Modern Family" and "Entourage." Actor Jeff Bridges took to Twitter to honor his former co-star: "John Heard- what a wonderful actor. We were in the movie Cutter's Way together & I got to experience his artistry and dedication first hand."